ATMs are the epitome of banking convenience. Wherever there is one available, people are assured of quick access to money. For Bitcoin, it is this access that is the most important. Cryptocurrencies have to do a lot to catch up with fiat currencies being solidly in the lead. With the availability of a Bitcoin ATM, people will have better options when they hope to make transactions in Bitcoin. 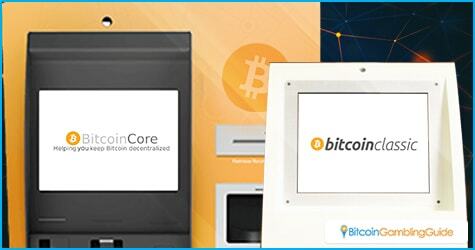 Originally, Bitcoin ATMs were meant to make offline purchases of Bitcoin. People who needed Bitcoin would drop by and trade their fiat cash for additions to their Bitcoin wallet. However, this was not exactly what the public wanted. Nowadays, through the constant development of Bitcoin ATMs, two-way Bitcoin ATMs are quickly becoming the norm. With these ATMs, people are able to buy and sell bitcoins, enabling them to convert their wallet’s contents into fiat currency that they can withdraw. It is this addition, along with Bitcoin’s increasing market penetration, that has fueled the spread of Bitcoin ATMs. Right now, there are over 650 terminals all over the world, with different companies handling the various networks. 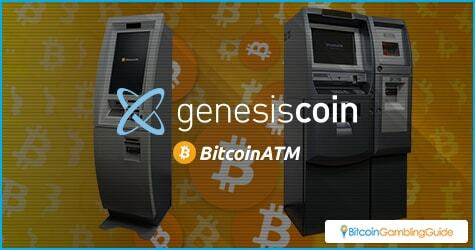 Genesis Coin is currently the world leader, with one in three of the world’s Bitcoin ATMs being part of the Genesis network. This is not to say that the other companies are not trying their best to catch up. Coinsource, a competitor, recently set up seven new ATMs in the Los Angeles area and two more in Las Vegas, while Lamassu registers the second largest market share for Bitcoin ATM as of writing. That is a significant chunk of the market right there, and the market will continually be growing at the same or faster rate. Bitcoin ATMs are also seeing growth because of one of their unintended features: they can enable cheap and easy remittances. Bitcoin has always been about quick digital transactions. With a Bitcoin ATM, people can send bitcoins to a wallet and the wallet’s owner can withdraw the bitcoins into the local fiat currency in a matter of minutes. This makes it ideal to send remittances from all over the world. The remittance market is a big one. According to the World Bank, over $601 billion are transferred via remittance networks like Western Union. These companies often take a fee for the transfer. The trouble is that there are often minimum and maximum amounts, while fees can take a significant chunk of the money. With Bitcoin ATMs, the transfer fees are very low and there are no limits. The process is also quite simple. People use a Bitcoin ATM nearby to buy bitcoins, and then send the money off to the receiver. The person who received the bitcoins can keep the money in the wallet or go to another Bitcoin ATM then withdraw it in the local currency. The current limit right now is whether there is a Bitcoin ATM at the other end. This is why the continued spread of Bitcoin ATMs is so encouraging. Bitcoin ATMs are not getting a completely smooth ride, though. The current block size debacle has made the Bitcoin world a bit jittery. Businesses prefer the increased block size while others in the Bitcoin market want to retain Bitcoin’s original vision. For Bitcoin ATM operators, a larger block size can ensure faster transactions, which is why quite a few of them have turned to support the hard fork provided by Bitcoin Classic. In a recent announcement on Reddit, five Bitcoin ATM companies have decided to support the fork. Between Coinucopia, Herocoin, Tobitcoin, Sumbits, and Bitlove, there are 29 North American ATMs that support the shift. Only time will tell if this move is a wise one. With change in the air, Bitcoin ATMs are facing an uncertain time. However, with positive growth and a potential market opening up, the future of Bitcoin ATMs is still promising with the industry still having much to look forward to this year.